Moss review code provided by the publisher. Whether it was doing your best Neo impression and dodging bullets in Superhot VR, barking orders to your crew in Star Trek: Bridge Crew, or even just seeing a 360 degree video for the first time, it’s clear that the romanticism of what PSVR can offer players differs from person to person. 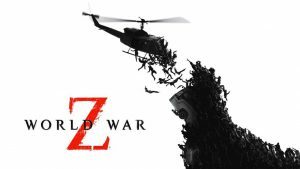 For me, the great hope that PSVR provided was one of connection – connection to a world and cast of characters that existed far beyond the rueful banality of my own, a world where I could immerse myself in the plight of another and which provided a sense of place which would compel me to return time and again. Moss has delivered on that. It has delivered on that in spades. Instrumental in anchoring players to Moss is its protagonist, Quill. The diminutive furry heroine of the game, players control Quill using the Dualshock 4 as they direct her tiny form to climb over obstacles, leap across chasms and swish her sword around with impressive vim and vigor. As much fun as Quill is to control, it’s in the many flourishes that have been woven into her animation that cement an indelible impression of her as an actual, living creature rather than a mass of polygons pretending to be the same. From the tiniest movement of her big floppy ears to the blink-and-you’ll-miss-it twitching of her inquisitive little nose and her excitable thumbs up whenever she completes a puzzle, Quill cuts an adorable and touching figure and one that can proudly stand as one of the best mascots PlayStation has ever been host to. Certainly, I've felt more connected to the plight of this little mouse than I perhaps have any other character in a long, long time; a feat that is made all the more remarkable by the fact that she never utters a single word throughout the entirety of the game. It’s honestly difficult not to feel your heart lighten every time Quill saunters excitedly into view. Quill is absolutely deserving of her place as a new PlayStation mascot. Speaking of her plight, the narrative that underpins the events of Moss is one of pure fairytale as Quill must take it upon herself to venture across the land to liberate her uncle from the clutches of an unspeakable evil that has resurfaced from ages past. Owing to its fantastical underpinnings, the world of Moss is one that feels both imaginatively evocative but also distinctly tangible by the same measure and this in large part is accomplished by how the world is scaled. Being only a little person, everything appears proportionately massive to Quill, with blades of grass seeming like towering green stalks while otherwise small woodland creatures such as squirrels appear as monstrously sized mounts for Quill’s friends and family to ride upon. In painting such a deliciously realised world with such a wonderfully engaging and personable protagonist to match, Moss feels like nothing less than the payoff of that original promise that VR technology made us; to intimately connect us to another world and the characters that exist within. There are moments in Moss when your brain fails to process that the world it is seeing is one borne of artificial fabrication, that everything you are bearing witness to seems more crafted by ethereal hands and powered by some sort of mysterious arcane method, rather than the labyrinthine code and industry standard toolset that powers the experience. There’s little point beating around the bush; Moss is the best looking game on PSVR right now and it's not even close. It’s in Moss’ many puzzles that you come to realise that overcoming such conundrums is a team effort between Quill and yourself as a disembodied observer. In terms of how Quill makes her way through the game, each level in Moss is presented as a scene where she must proceed onto the next by overcoming obstacles and solving puzzles in order to achieve this, and it’s here that Moss reveals its ace in the hole so to speak. You see, Moss is secretly a two player game where you control both characters (Quill and a disembodied reader whose Spitied Away esque facade is revealed by gazing into the water) and while it differs in execution from conceptually similar fare such as Brothers: A Tale of Two Sons, the effect is no less poignant or functionally justified. 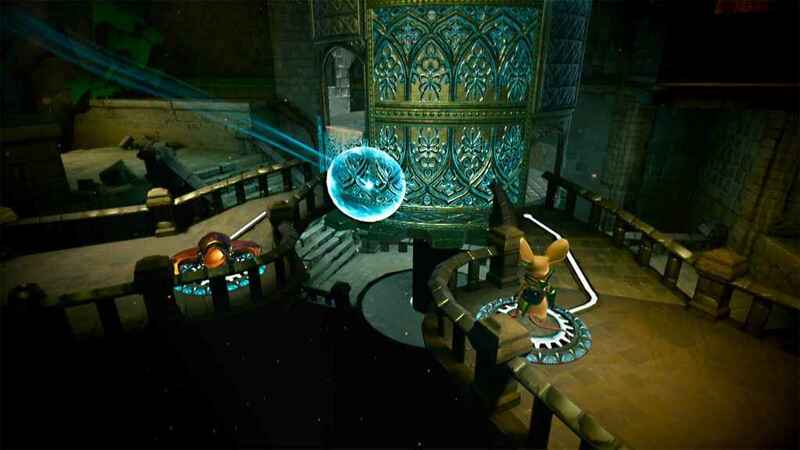 As the aforementioned disembodied presence, you are tasked with interacting with certain elements of the environment in order to allow Quill to progress and this is achieved by using the controller to reach into the world (as indicated by a floating blue orb) and then manipulate the objects in question. This includes, but is most definitely not limited to, pulling and pushing stone blocks around to create ways for Quill to reach other areas of the screen, healing Quill whenever she takes damage by creating a shroud of energy around her and subjugating the numerous foes that she encounters during her journey. 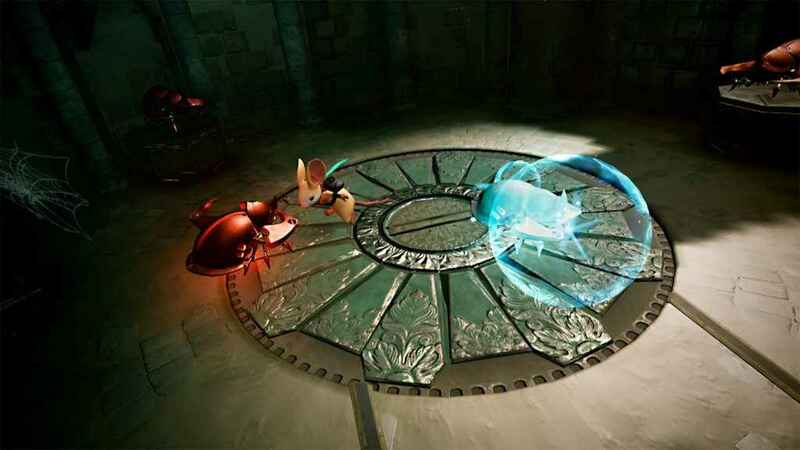 Controlling the mechanical beetles that threaten Quill is essential to overcoming the puzzles later on in the game. Pointedly, it’s actually in these foes that the bulk of Moss’ surprisingly accomplished and intricately designed puzzles can be found. Vicious armored beetles that can strike out at our heroine with damaging melee and ranged attacks, Quill can hack them to pieces with ease by striking their flank but as it turns out these aggressive critters can serve a higher purpose. By falling under the yoke of the observer’s talent for manipulation, players can take full control of these metallic monsters one at a time (controlling them with the right analogue stick while Quill is directed with the left) and either using their abilities to fight their kin, or, employ them to resolve a pressure plate puzzle or some other part of a larger conundrum that Quill is faced with. Though the notion of simultaneously controlling Quill and maneuvering the enemies around her can seem a little disorienting at first, the superbly responsive controls ensure it doesn’t take very long at all until the practice becomes second nature. Beyond being able to directly interact with the game world, Moss also makes the most of PSVR’s head tracking capabilities by allowing the player to peer around ledges, over walls and underneath floors to discover secret scrolls that act as an effective incentive to replay Moss once you’ve beaten it for the first time. 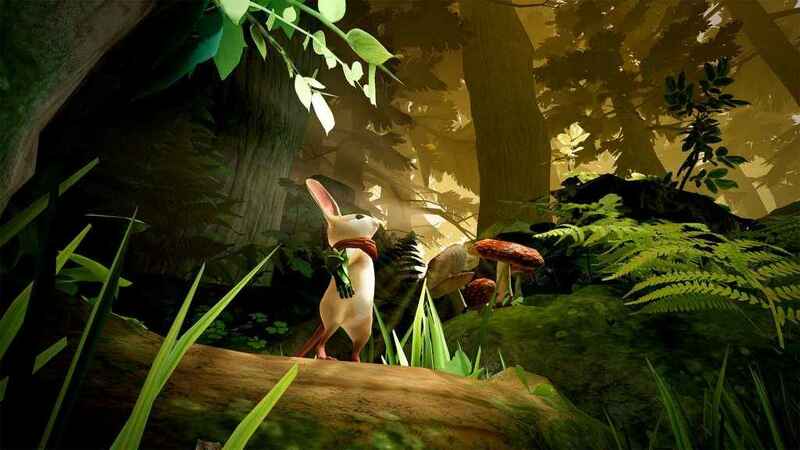 While being able to perform such investigative feats is hardly a new experience for PSVR gamers (see the likes of Tethered and Theseus, for example), the sheer beauty and stellar design of Moss’ game world make doing so an evergreen pleasure that you’ll never, ever tire of. 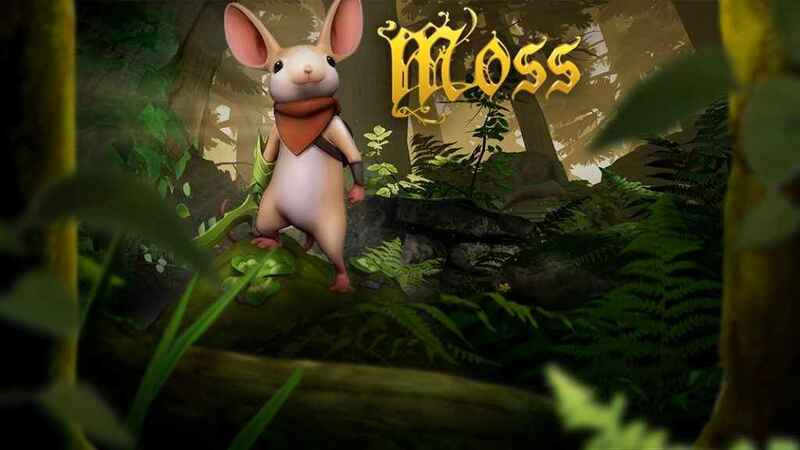 Additionally, for those concerned that the child friendly aesthetic and lighter themes of Moss might somehow compromise the level of challenge that the game would offer, allow me to allay your fears, Moss is perfectly balanced; challenging when it needs to be and relaxing at all other times and all the while presenting the player with an extremely gentle learning curve that helps veteran and newcomers young and old alike get stuck into the game without any undue frustration. Utterly entrancing from start to finish, it’s clear that in the small but ferociously spirited Quill that PlayStation has a new mascot, but more than that it has a game that defines the PSVR platform like no other before it. Moss sets an evocative and stirring blueprint for other developers to follow and that despite being barely taller than a matchstick, the adorably realized Quill exudes a larger than life presence that no other PlayStation mascot can match. As it stands, the one problem with Moss is that, quite simply, it ends. Like a lucid dream that upon the jarringly invasive morning light you yearn to return to, with Moss you simply can; all you need to do is turn on your PS4 and put on your PSVR headset. I love this little mouse, and chances are, you will too. If you enjoyed this Moss review, why not check out our feature chronicling the best PSVR games you can buy right now? Moss is an irresistibly uplifting landmark experience that is simply essential for PSVR owners everywhere. 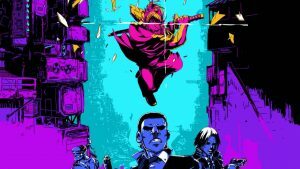 It’s a repost of the original review as the game got a physical release this week.